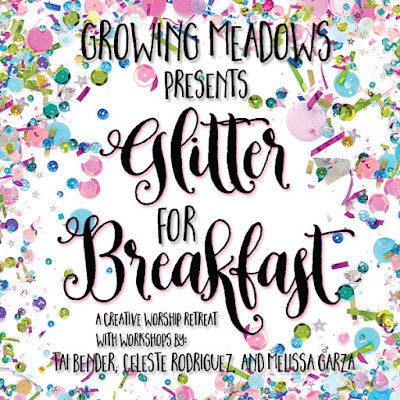 What: Glitter for Breakfast is a Creative/Art Worship Retreat! We will hang out for 4 nights and 3 days of workshops, devotionals, testimonies, fellowship, food, prizes and SWAG! Who: Workshops will be given by Celeste Rodriguez and Melissa Garza. 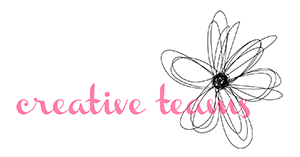 Along with Creative workshops, we will make time for fellowship, group devotions and guest testimonies. You will leave this event full of the Word of God! You must forward a request to me personally via email which includes your paypal email address. ALL PAYMENTS will be invoiced via PayPal. Please send the request to taimbender@gmail.com. If you do not receive an invoice in 24 hours PLEASE reach out to me on any social media outlet (Instagram is preferred.) or leave a comment on this post. Sometimes emails don't come through and I would hate to miss your request! *Please note Dinner Mon-Wed will be on your own. There are many dining and shopping attractions a short drive away. If you plan to fly, don't worry! We will have plenty of ladies with vehicles! Will I need to share a room? Yes. (NEW) the rooms are large dorm-style rooms with bunks. Please let us know if you cannot use a top bunk, we may have enough bottom bunks for everyone! Linens are provided. If you wish to bunk beside a buddy just let us know and we will make the arrangements! If I fly in, will I need to rent a car? If you like. However, we are working to make arrangements for transportation to and from John Glenn Columbus International Airport. Maybe. If you have a nursing age infant you are welcome to bring him/her. Otherwise, we ask that the event be for adults ages 18 and up. What supplies should I bring? You are welcome to bring whatever supplies you like. 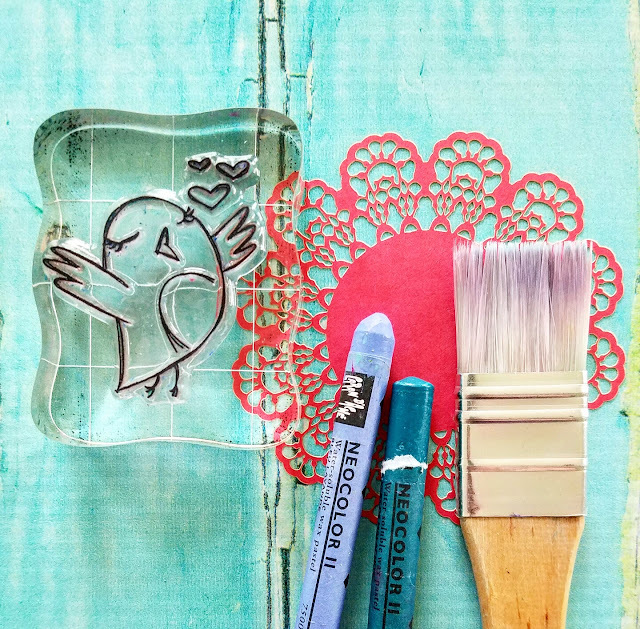 We will also be sure to have many supplies on hand which you can use to create! 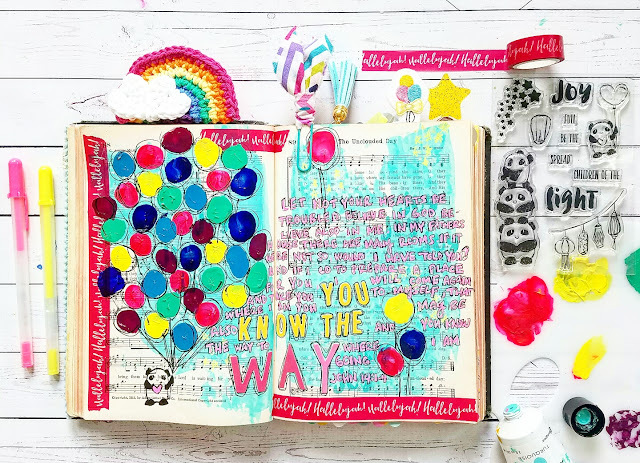 We recommend an Art Journal and/or Journaling Bible. 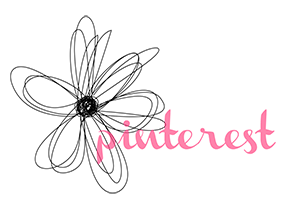 Any Paint, Scrapbooking or Paper Crafting supplies are appropriate. 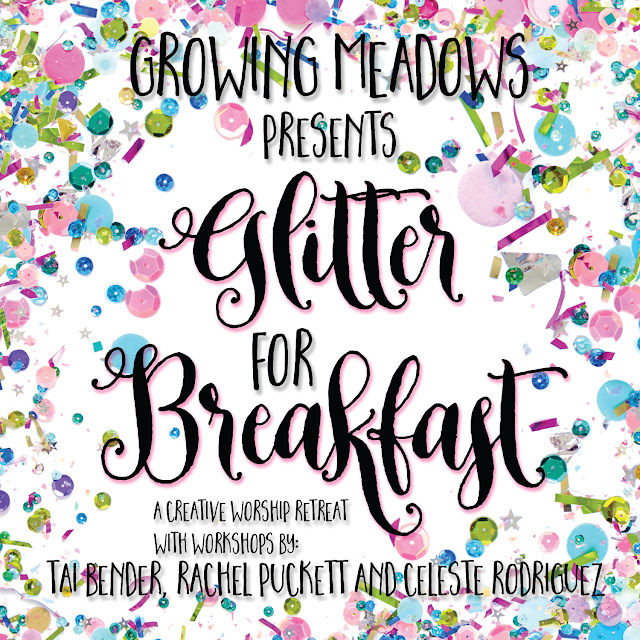 We will have bunches of glitter! Tickets are transferable but not refundable. We will keep a waiting list to help with transfers but ultimately it is up to you to transfer your own ticket. Tickets may not be transferred within 30 days of the event. Absolutely NO stairs in our new facility! What if I have an allergy or dietary restriction? We are happy to comply! Just let us know! Can I stay somewhere else? We really hope you will stay with us at the retreat center! The element of fellowship is essential for our event! There is NO discount available for staying elsewhere. We have to reserve the same amount of space if you stay with us or if you do not. The ticket cost is fixed as stated above. The event location is just north of Columbus, Ohio right off I-71. More than enough parking is available! Whatever you are comfortable wearing! There is no dress code. We welcome yoga pants, leggings and fuzzy pajamas! Announcing GLITTER FOR BREAKFAST 2018! What: Glitter for Breakfast is a Creative Worship Retreat! We will hang out for 4 nights and 3 days of workshops, devotionals, testimonies and food! Who: Workshops will be given by Myself - Tai Bender, Celeste Rodriguez and Melissa Garza. 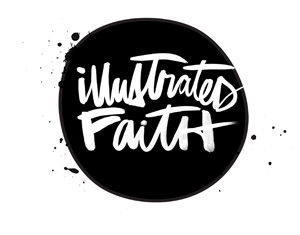 Along with Creative workshops, we will make time for fellowship, group devotions and guest testimonies. You will leave this event full of the Word of God! Payments 2 and 3 should be made via paypal to my paypal address below. You can make payments at any time as long as the balances are $300.00 or less by November 4, 2017 and $0.00 by February 1, 2018. Your ticket includes accommodations for 4 nights, all workshops, and all meals beginning with dinner Sunday night and ending with breakfast Thursday morning. Also included will be LOTS of fun SWAG and LOTS of other fun surprises! Yes. Most rooms will have 2 guests although some rooms hold 3 people. If you book with a friend let us know and we will arrange for you to share! If you like. However, we are working to make arrangements for transportation to and from Columbus International Airport. Maybe. If you have a nursing age infant you are welcome to bring him/her. Otherwise we ask that the event be for adults ages 18 and up. We really hope you will stay with us at the retreat center! The element of fellowship is essential for our event! There is NO discount available for staying elsewhere. We have to reserve the same amount of space if you stay with us or if you do not. The ticket cost is fixed. as stated above. The event location isn't too far from major routes. More than enough parking is available! Whatever you are comfortable wearing! There is no dress code. We welcome yoga pants, leggings and fuzzy pajamas! Shoes or house shoes are required in the facility. No socks or bare feet please! Who: Workshops will be given by Myself, Celeste Rodriguez and Rachel Puckett. 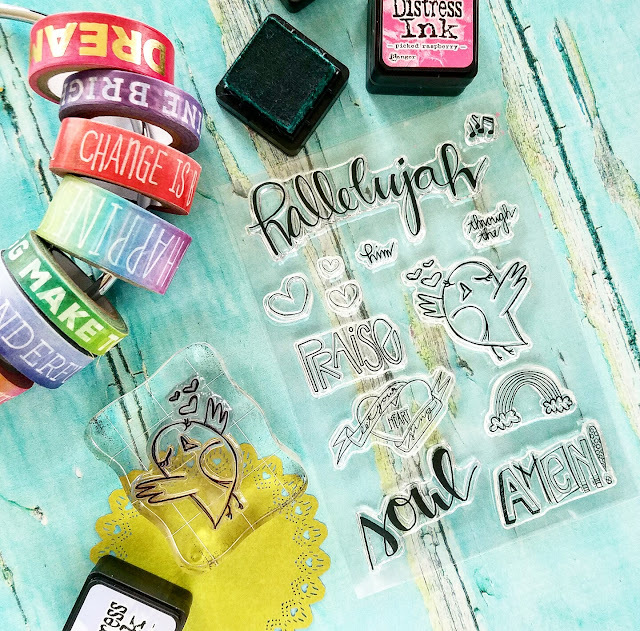 We will be creating Bible Journaling, Hymn Journaling, War Binders, Junque Journals and MORE! Tickets: Tickets will go on sale FRIDAY, AUGUST 12, 2016 at NOON EST More details to come. There will be a separate site where you will go for ticket sales. I will post at the time listed above. Ticket price is $850.00 plus processing fees. Ticket price is $850.00 plus processing fees. To reserve your Ticket you must purchase the first deposit on Tthe Eventbrite page (link available after tickets release for sale). The initial deposit is $250.00 plus processing fees (around $15.00). Payments 2 and 3 should be made via paypal to my paypal address below. You can make payments at any time as long as the balances are $300.00 or less by November 1, 2016 and $0.00 by February 1, 2017. Your ticket includes accommodations for 4 nights, all workshops, and all meals beginning with dinner Sunday night and ending with breakfast Thursday morning. Also included will be tons of fun SWAG and some other fun surprises! How many tickets will be sold? We are limiting the number of tickets to just 25! Tickets are transferable but not refundable. Tickets may not be transferred within 30 days of the event. We really hope you will stay with us at the event center! The element of fellowship is essential for our event! There is NO discount available for staying elsewhere. We have to reserve the same amount of space if you stay with us or if you do not. The ticket cost is fixed. as stated above. Guys, God has already been moving to get this event off of the ground. I am so very blessed to share with all of you! If you have any further questions PLEASE ask! 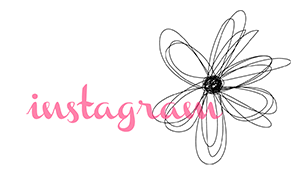 We want to share as much as we can! Hi Friends!! I have created this video for His Kingdom Come! Check out their fun facebook group and join the challenges! I've included a resource list below for your convenience including the cute Panda Joy stamps and Hallelujah Washi from our shop! Love you all!! My name is Tai Bender. 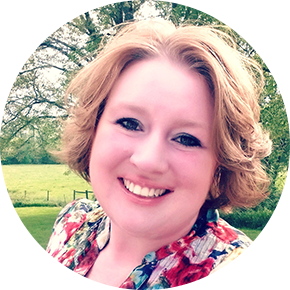 I am a Christian wife and mom, a worship leader and artist. 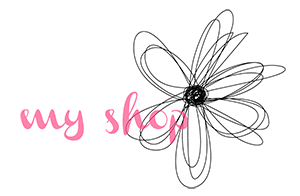 I run an etsy shop and blog for a living. And I am your sister. Like thousands of other delighted facebook readers, I clicked your video and laughed until I cried. I shared with my husband and he kept asking if I was sure your name was Candace because he was convinced I could have made that video myself. We have many similarities, you and I...similar expressions, body type and love of Chewbacca (best Star Wars character ever). We share a similar sense of humor, laugh, and tendency to clap at ourselves. I even heard you are a Bible Journaler and we were already facebook friends because of the Bible Journaling community. These shared qualities certainly make us awesome; but above all, as I was watching your video and before you got so many wonderful opportunities to share your story, I knew that you must be a Christian. I have never met you or heard of you but that sort of joy doesnt come from the world. Your video isn't just a feel good giggle from a happy mom. You radiate the true joy of Jesus. As Christians we learn to recognize our tribe. It is easy to see the fruit. Today I was broadcasting on my periscope channel and the discussion turned to "Chewbacca Mom". I mentioned that I wasn't sure but I wouldn't be a bit surprised if Chewbacca Mom were a Christian and many said you were and that you had been sharing Jesus in your adventures. When I completed my Bible Journaling broadcast I sat down to say a prayer for you. I prayed for you to be blessed as you share the joy of the gospel. I shed a few tears of delight as I praised God knowing that all things work together for good for those who love the Lord and are called according to His purpose. I am proud to call you a Sister in Christ! SHINE ON, CANDACE!! 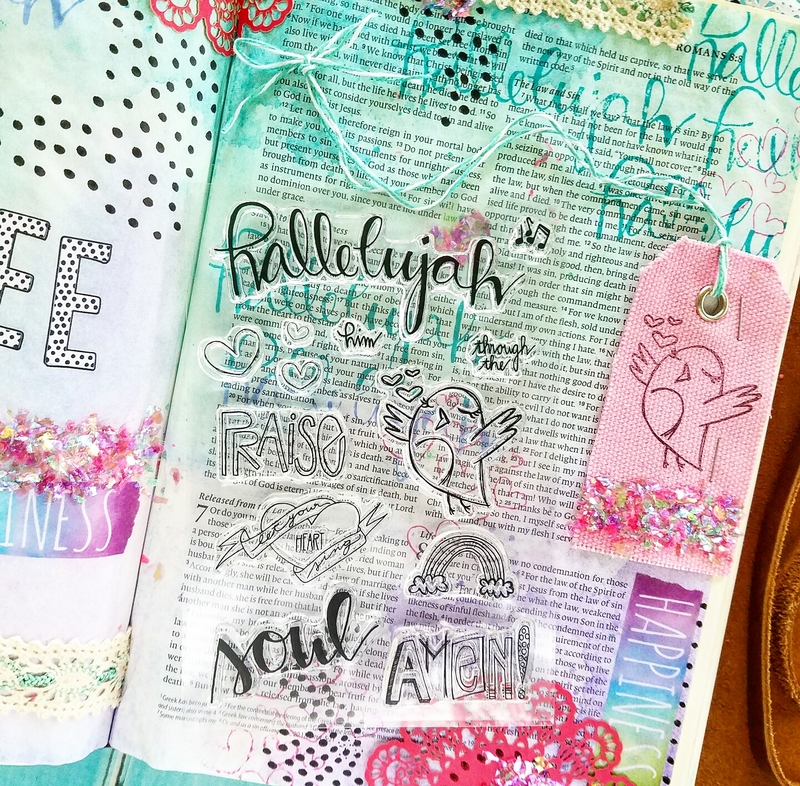 Romans Chapter 6 Bible Journaling - Set Free!! Hi Friends! 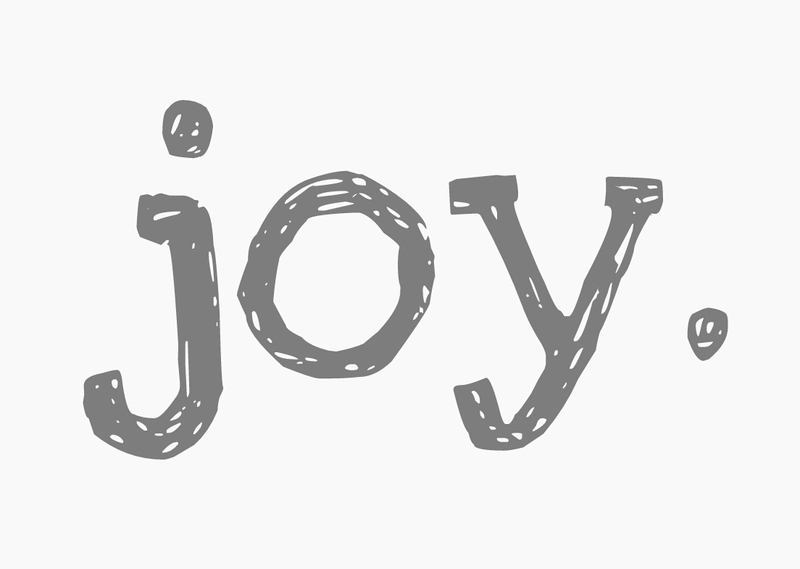 Today I am reading over Romans Chapter 6 and dwelling on freedom. The true freedom that only comes through Christ! The Grace of God is pouring out! Come and drink! 1 What shall we say then? Are we to continue in sin that grace may abound? 2 By no means! How can we who died to sin still live in it? 3 Do you not know that all of us who have been baptized into Christ Jesus were baptized into his death? 4 We were buried therefore with him by baptism into death, in order that, just as Christ was raised from the dead by the glory of the Father, we too might walk in newness of life. 15 What then? Are we to sin because we are not under law but under grace? By no means! 16 Do you not know that if you present yourselvesto anyone as obedient slaves, you are slaves of the one whom you obey, either of sin, which leads to death, or of obedience, which leads to righteousness? 17 But thanks be to God, that you who were once slaves of sin have become obedient from the heart to the standard of teaching to which you were committed, 18 and, having been set free from sin,have become slaves of righteousness. 19 I am speaking in human terms, because of your natural limitations. For just as you once presented your members as slaves to impurity and to lawlessness leading to more lawlessness, so now present your members as slaves to righteousness leading to sanctification. I decided to just share the whole chapter above. There isn't a lot to add to Paul's poetic writing. Free! We are so FREE! Free because if we are crucified with Christ then we are raised with Christ. Free because in our resurrection we are no longer slaves to sin. Free because without the penalty for our sin we are SET FREE with the FREE gift of God - eternal life in Christ Jesus our Lord!! 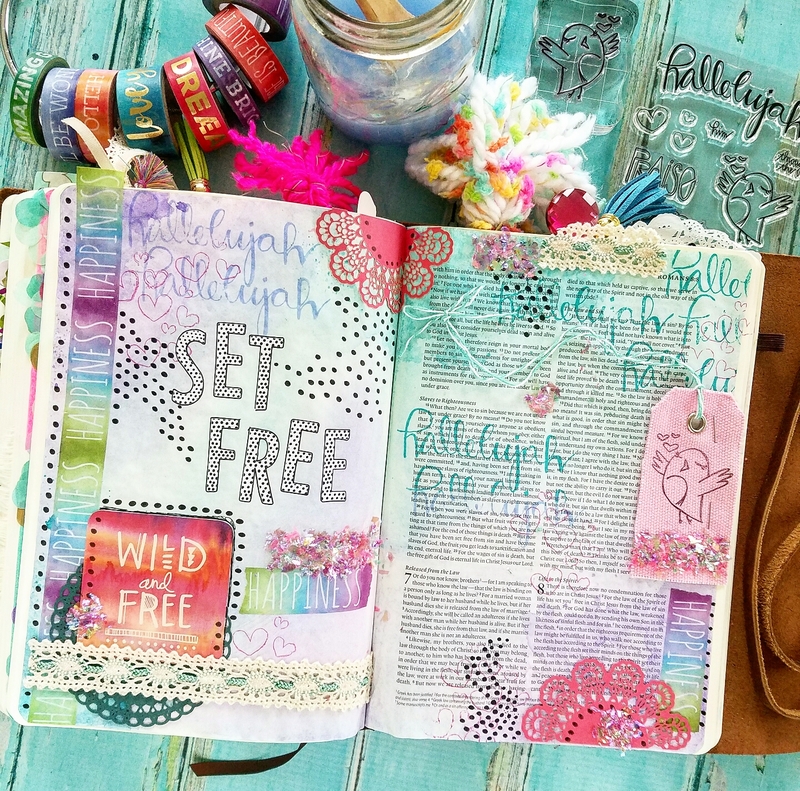 I wanted to document this freedom in my Journaling Bible. I am using my Interleaved edition Bible here with a blank page between each page of text. I went all out with embellishments and watercolors! 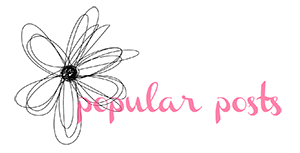 I have included a complete list of resources for you below! It's a Shaker Dori Process Video!! Hi!!! I have finally completed my process video so you can make your own Shaker Dori. This is a super fun and inexpensive project to add some glitter to your life. We can all use some more sparkle! A list of resources are at the bottom of this post. Enjoy!